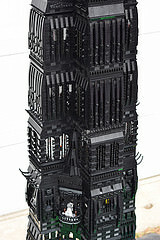 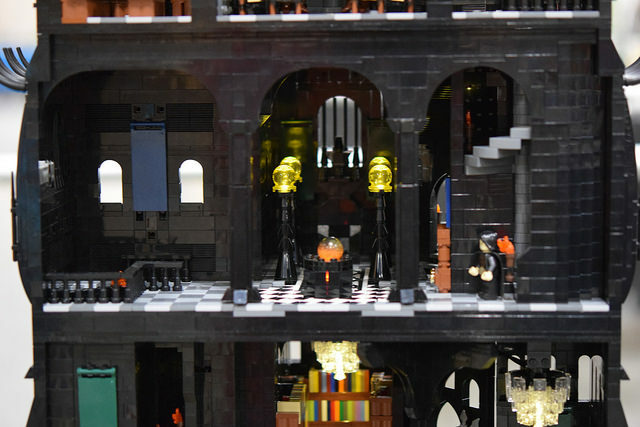 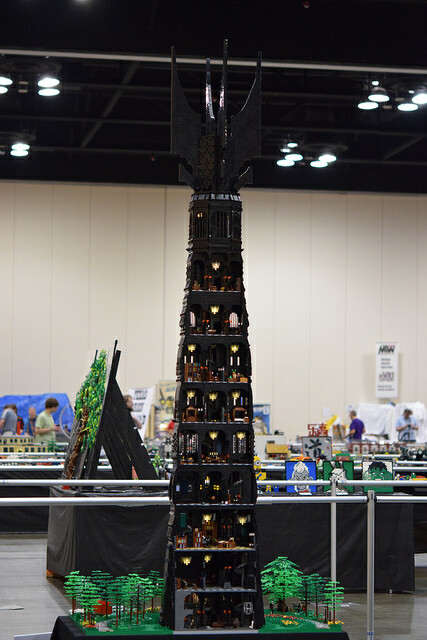 Brendan McMahon's Tower of Orthanc build includes nine floors and is more than eight feet tall. 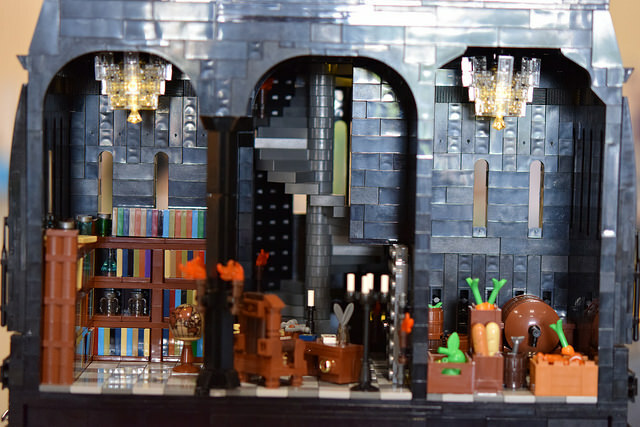 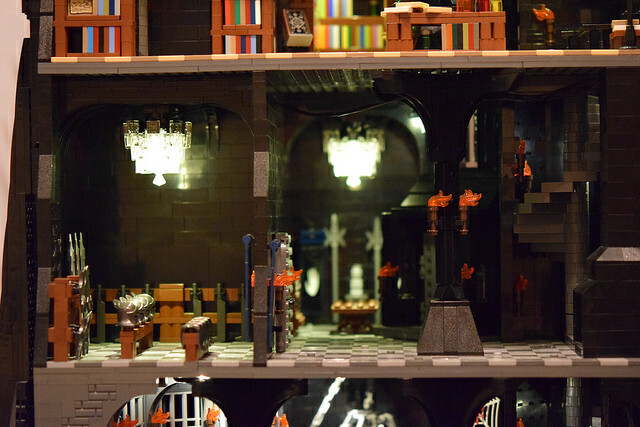 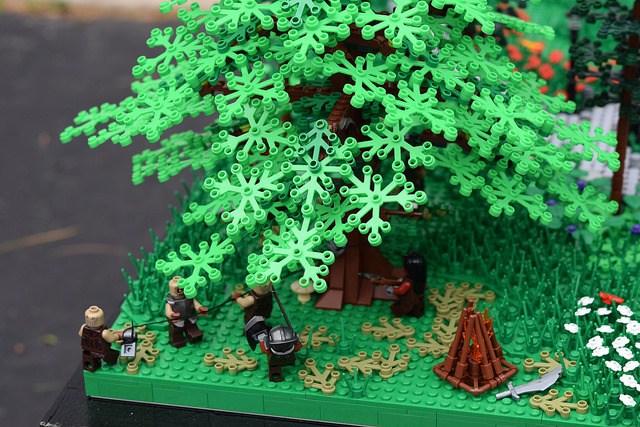 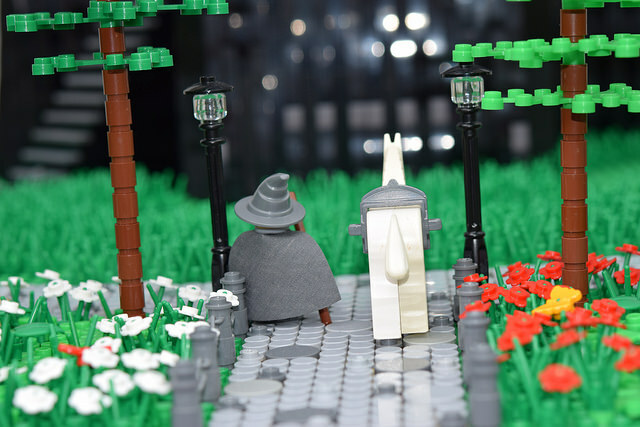 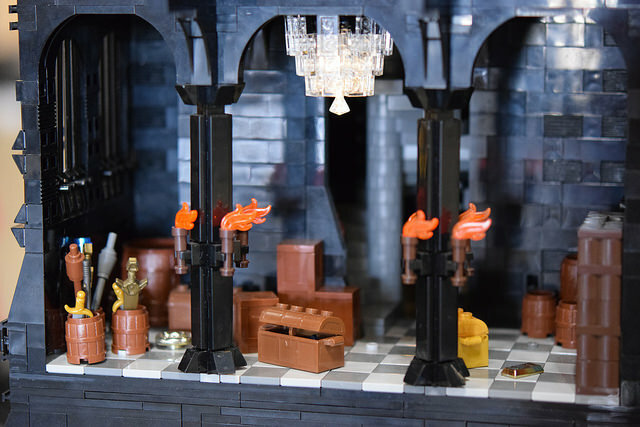 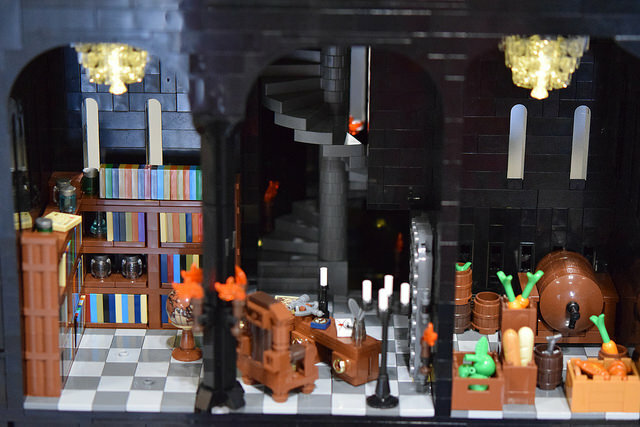 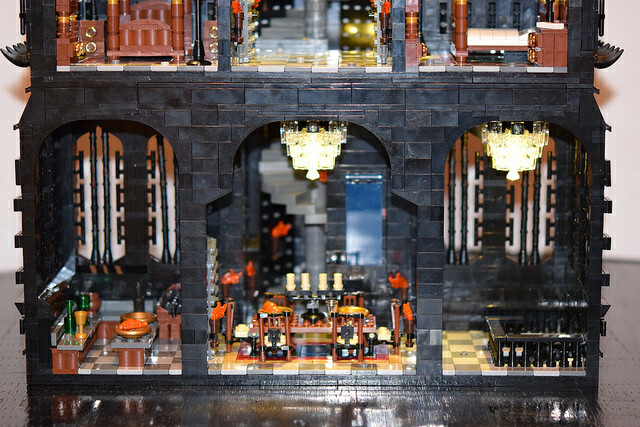 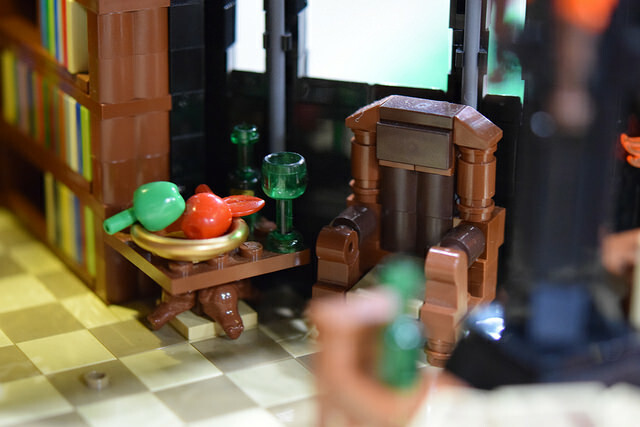 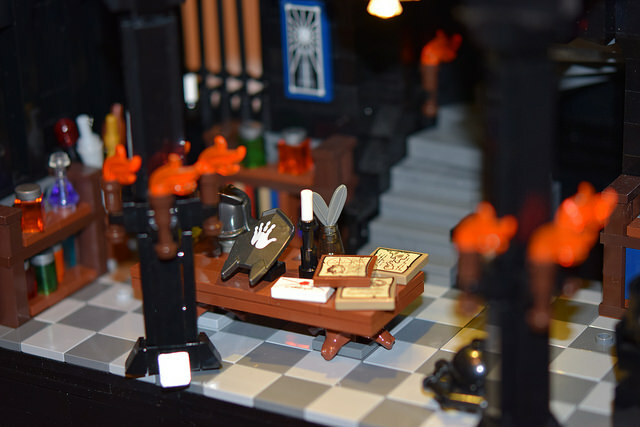 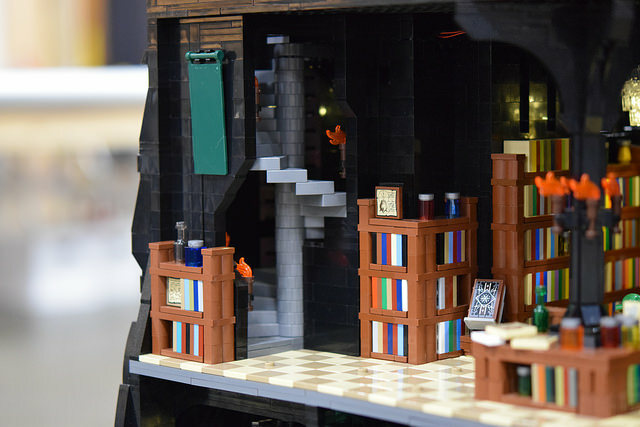 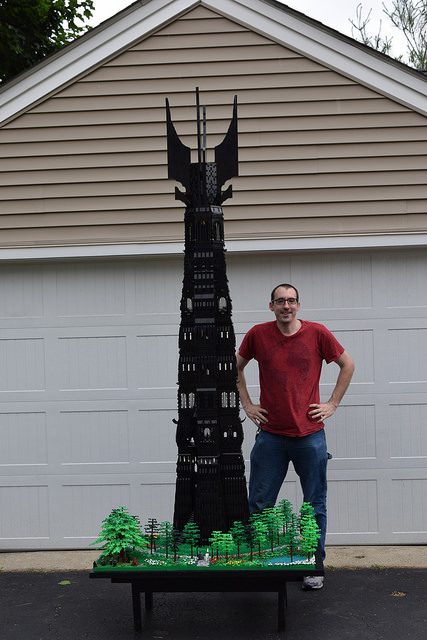 When you look at many of the most impressive custom LEGO builds, one of the things that you most often notice is a dedication to making them enormous. 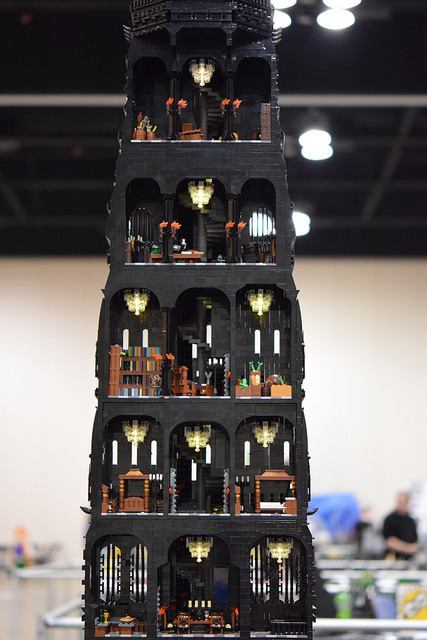 14-foot StarCraft 2 dioramas. 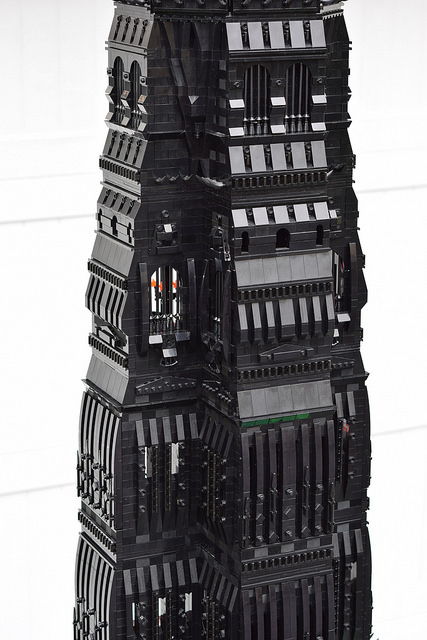 40,000-piece Star Destroyers. 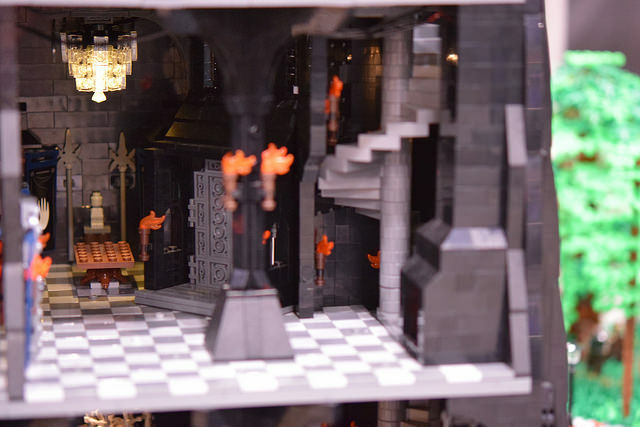 200,000-piece Rivendells. 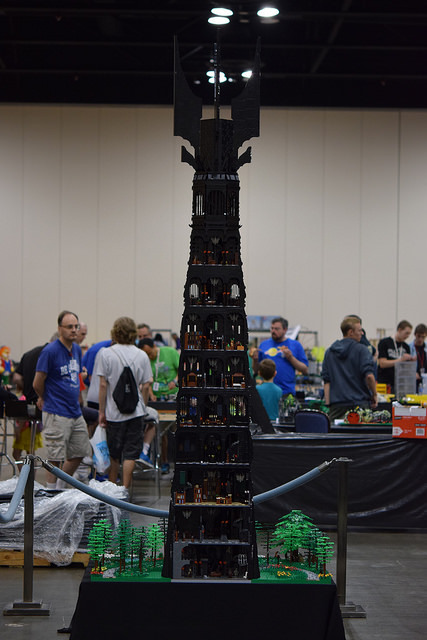 If the world's best LEGO builders have one unifying ethos, we're pretty sure it's "bigger is better." 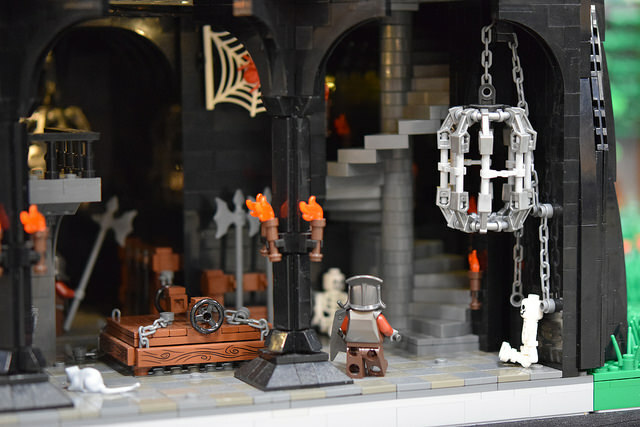 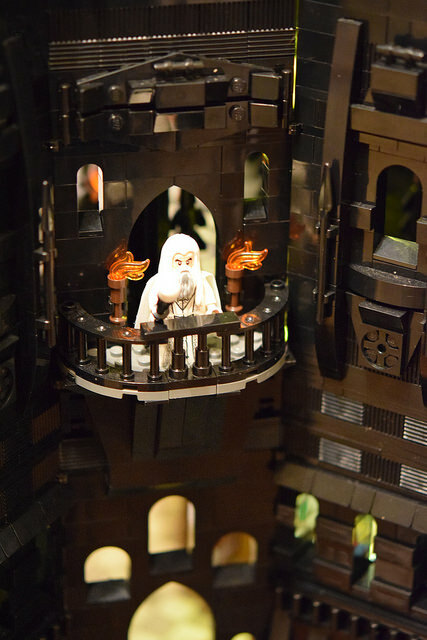 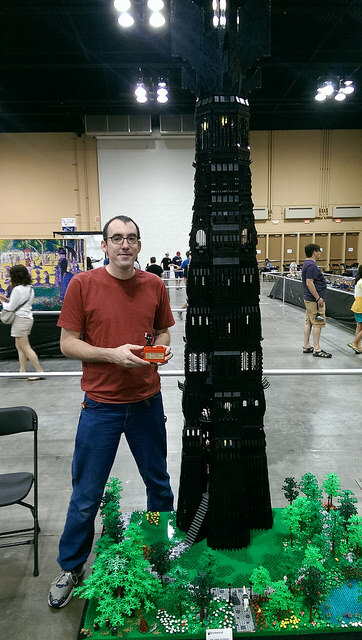 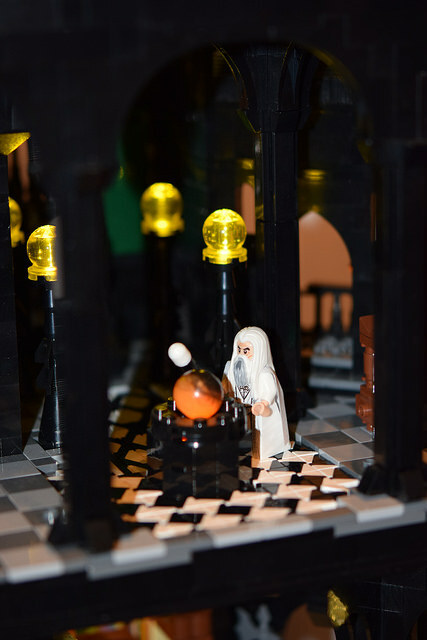 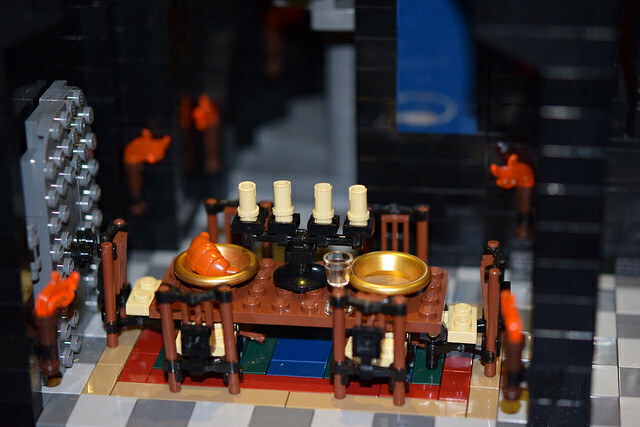 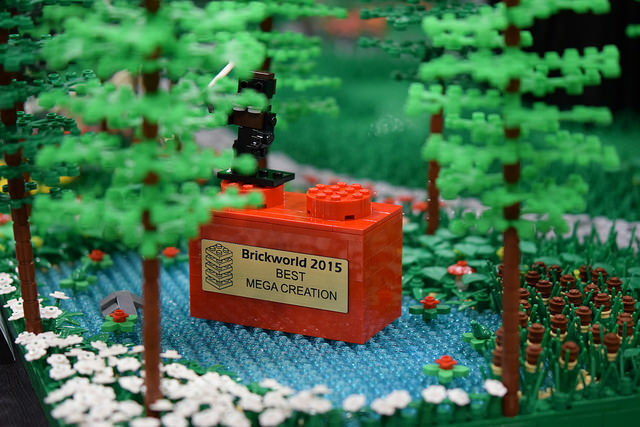 In the least, that seems to be the driving philosophy of Brendan McMahon who recently won the "Best Mega Creation Award" at the 2015 Brickworld Chicago event for his work on an 8-foot replica of the Tower of Orthanc from The Lord of the Rings. 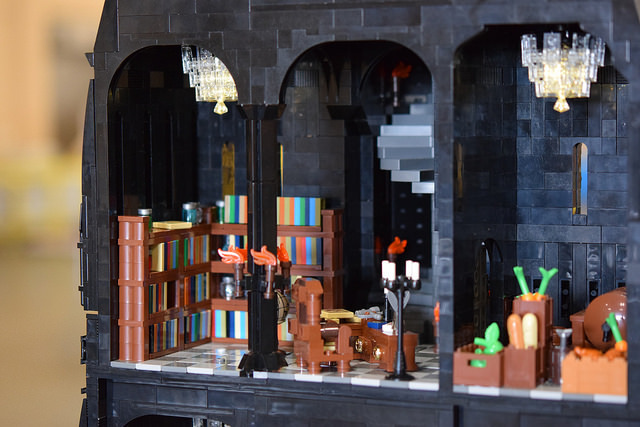 Segmented into nine floors, each with their own detailed interior, the build includes libraries, dining halls, a torture chamber and more. 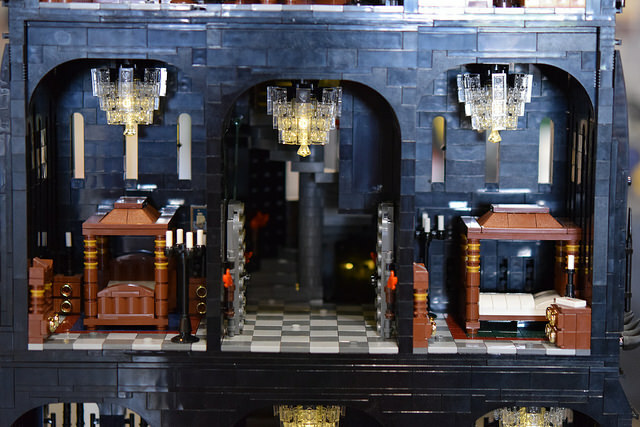 Even more impressive, it's fully wired to allow for the use of electric lighting effects. 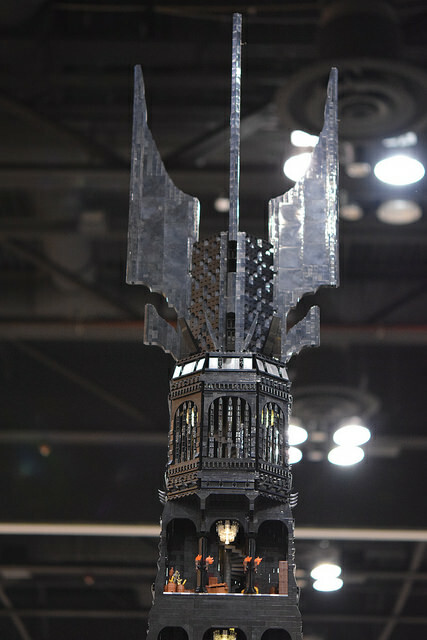 Speaking in an interview, McMahon stated that his Orthanc took more than a year to build. 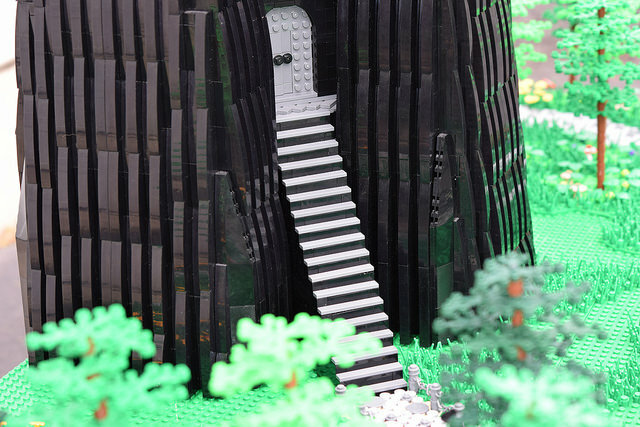 The build, he said, is also designed to come apart to allow for easy transportation. 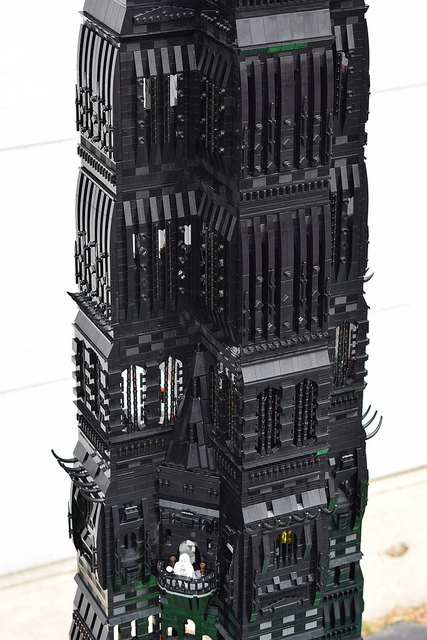 Put succinctly, it's a beast of a LEGO build. 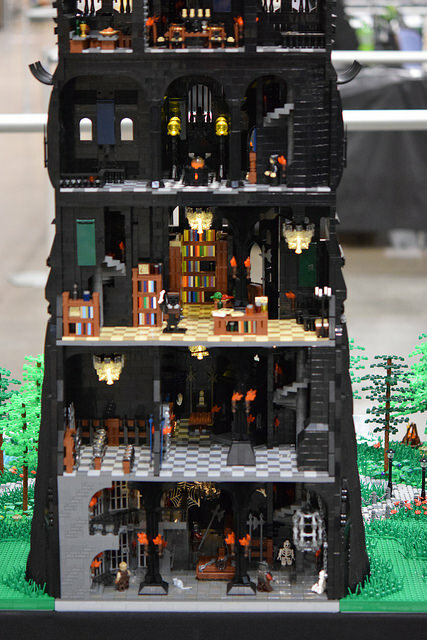 What I'd personally like to know is how many individual bricks the build used overall. 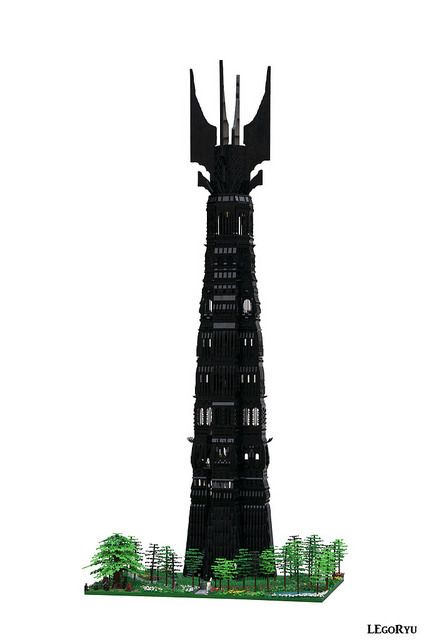 Its impressive even without that information of course, but a part of me is just curious to know exactly how thoroughly it dwarfs the official LEGO Orthanc set which, despite containing more than 2,300 pieces, is significantly smaller. 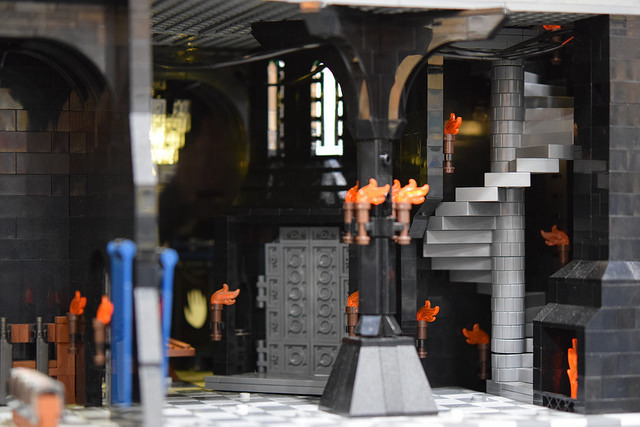 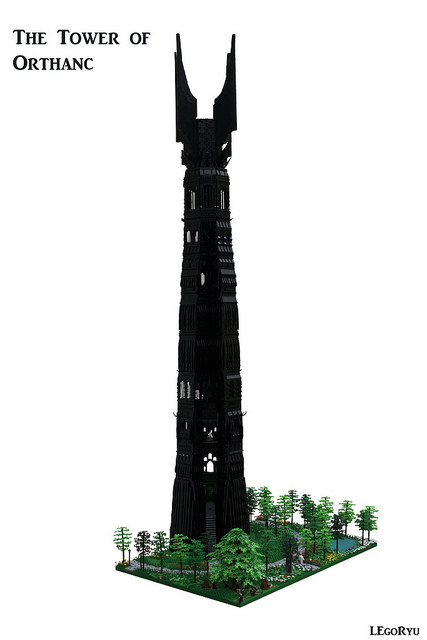 We posted some pictures of McMahon's Orthanc below, check them out and be sure to head over to his Flickr account to get a full look at his epic creation.